These days it can feel like our lives are spinning out of control. What we do and when we do it can be dictated by the demands of bosses, clients, spouses and kids. Many of us short on time have even given over control of the ingredients in our food when we buy convenient processed foods, go to restaurants, or pick up take-out after a busy day. When it comes to what we eat, getting back that control is one of the best things we can do for ourselves for our health. 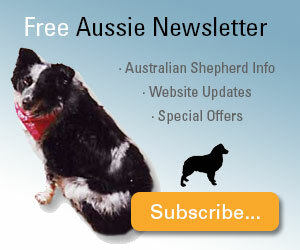 So too, it is important to make sure that our Aussies are getting quality food and healthy homemade dog treats. And, it doesn't have to be that difficult either. While it may be easy to just tear open a bag or box of commercial dog treats you (or your dog rather) are at the mercy of the dog treat manufacturers. What is the quality of the ingredients? Who is their supplier for each of the ingredients included in their product? 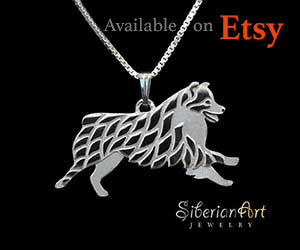 A weak link in that chain can compromise the quality altogether. Of course, as with any food product, there is a wide range available. Some dog treats are "junk food" for dogs while others are even nutritious and healthy. It's hard to not have store-bought dog treats on hand because they are so convenient. 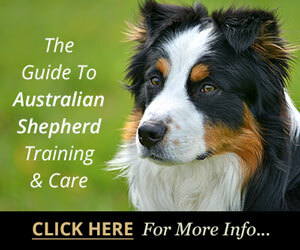 Just make sure they aren't doing your dog more harm than good. Let's take a look at the option of making your own healthy homemade dog treats. It's easy to make healthy homemade dog treats and you can create your own favorite healthy dog treat recipes. Why should you bother to make homemade dog treats? As I've already touched on, there is the aspect of quality control. There won't be any mystery ingredients, chemicals, and preservatives that could actually harm your dog. You know best what your dog likes, which foods don't agree with them, and foods they are allergic to. Whichever dog treat recipes you use, make sure to modify or change the ingredients to suit your dog's health needs. While some commercial dog treats may seem like a bargain it is a false economy if they are not healthy. 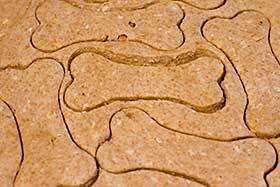 When making your own healthy home made dog treats you can control the the quality/cost ratio. 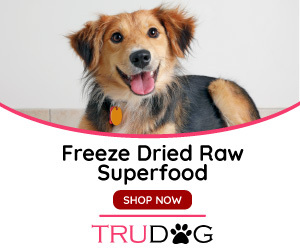 Why spend your money on commercial dog treats when for a little more (or the same, or even less) you could make your own healthy alternatives while having complete control? 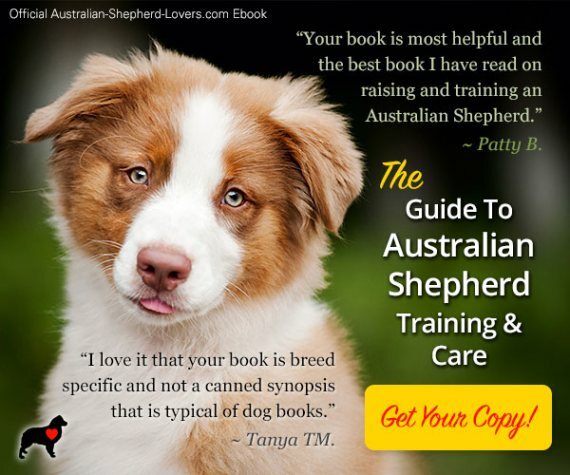 Don't forget about the fun of trying new healthy dog treat recipes, baking love into your dog treats, and testing out your latest batch on a very appreciative Aussie! It's hard to go wrong as dogs will generally be thrilled with anything they get to eat. But just to make sure you are making a healthy homemade dog treat there are some ingredients you might want to try. It's best if you can cover as many bases as possible including proteins, carbohydrates, fats, and fiber from ingredients that will provide the vitamins and minerals needed for good health. You can use a variety of healthy ingredients like: sweet potatoes, carrots, cauliflower, apples, unsweetened apple sauce, bananas, peanut butter, kale, zucchini, pumpkin, brown rice, quinoa, whole-wheat flour, oatmeal, eggs, lean red meat, chicken, fish oil, and ground flax seed. Of course, this is not a comprehensive list, but it should give you an idea of where you can start. Create your own go-to list. If your vet says your dog needs more of this vitamin or that mineral, just find the ingredient that includes what you are looking for and add it to a recipe. So long as it isn't something that is bad for dogs, make it part of your custom healthy homemade dog treat repertoire. Which ingredients should you avoid using in your dog treats? Many of the ingredients above are things that are healthy for people and dogs (food allergies notwithstanding) but not everything that's okay for people is okay for dogs. And some things neither of us should eat! You can find all kinds of dog related shapes of cookie cutters at Amazon. Some things when used in moderation are okay. But, you should ask yourself if you really need to add that salt or sugar. When using meat, trim the excess fat. Adding chicken? Remove the skin. 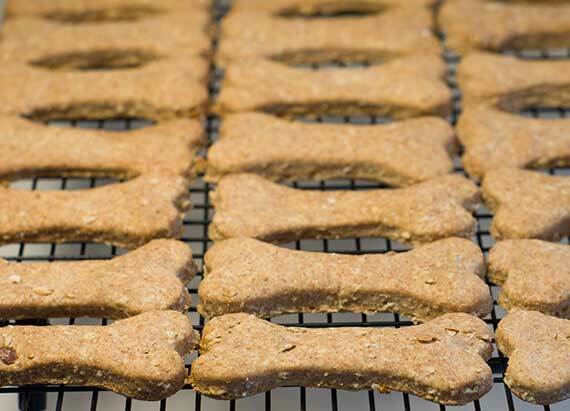 We want to make these healthy dog treats. Things like avocados, grapes and onions are considered safe and even healthy for people but are not safe for dogs. With avocados it is not just the pit that poses a hazard as some believe. All parts, the seed, flesh and skin contains persin which can cause vomiting and diarrhea. Grapes and raisins can cause kidney damage due to a toxin believed to be contained in the fleshy part. This can result in vomiting, diarrhea, lack of appetite, lethargy, or abdominal pain. Onions (raw or cooked) and onion powder contain sulfoxides and disulfides which can cause damage to red blood cells resulting in anemia. Garlic also has this effect, albeit less so than onions. While dogs do generally love cheese, it is not necessarily good for them. Neither is any dairy product really as most dogs lack the enzyme lactase to metabolize lactose. That said, many dairy products contain very low levels of lactose. For example, Cheddar Cheese and Swiss Cheese contains almost no lactose and can be digested by most dogs. So feel free to use it (unless your dog is actually allergic to milk rather than just lactose intolerant). Many Aussies are sensitive to wheat and other grains. If that is the case for your Aussie be sure to avoid treats containing wheat, rye, oats, barley, buckwheat or other cereal grains. Instead substitute with grains that do not contain gluten like rice, amaranth, millet, and quinoa. 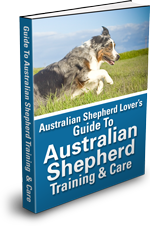 Australian Shepherds can become allergic to a wide range of ingredients other than wheat that may be contained in otherwise healthy dog treat recipes. Common ingredients like corn, soy, dairy, beef, chicken, and fish can cause allergic reactions. Since lactose is a sugar you can check the label of the diary product and see how much sugar it contains to gauge how well your dog will tolerate it. Signs of lactose intolerance are intestinal distress resulting in gas, diarrhea or vomiting. If your dog exhibits these symptoms after eating cheese, reduce the amount or eliminate it from your recipes. There are a range of other things not to give your dog; some less obvious than others. For example, things to be avoided can be as varied as rhubarb, persimmons, hops, and macadamia nuts. Also, don't include chocolate or artificial sweeteners containing Xylitol. Xylitol can result in vomiting, weakness, collapse and liver failure (when in high doses). If you are not sure of an ingredient you would like to use it's a good idea to do a quick search on the internet. Be aware that just because a given ingredient is safe for other dogs does not mean it is safe for your dog. When trying new ingredients you are not sure of how your dog will react to, start with a small amount and wait before giving them more treats. Sometimes it's hard to find the time to get everything done, let alone bake our own home made dog treats. 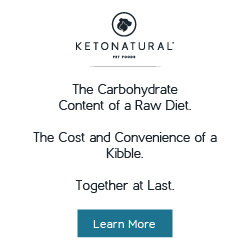 Fortunately, there are commercial dog treats that are healthy. Just because they are store-bought doesn't mean they have to be junk. For example, you can check out Sojos or Only Natural Pet. Don't forget these are treats, go easy and use them as an opportunity for training. Giving your dog a treat is nice but giving your dog a reward for learning something new or reinforcing good behavior is even better. So, we've covered some of the reasons to get control over the treats you give your dog and looked at healthy ingredients to include as well as some to avoid. I hope this has given you an idea of how to get started and inspired you to try making your own healthy homemade dog treats if you haven't already and feel good knowing that the ingredients in your dog's treats are safe and nutritious.